When I first started tweeting, I struggled to think of even a single tweet. What would my new Twitter audience care about? Why would they care what I was doing or thinking at any given moment? Fast forward many years and I’m now tweeting dozens of times a day, am approaching 100,000 tweets overall, and have grown a Twitter audience of over fifty thousand fans. How’d I do it? Where’d I get all those tweets? One of the best compliments to an active, growing Twitter community is a source of original, helpful content. In other words, you should be blogging and powering your Twitter with that blog content. The problem is, like anything else we want to do for our business, blogging takes time and experience to work well. You can, however, get help making your blog as successful, and profitable, as possible! What Is Your Blogging Voice? How Do You Write Blog Posts? How Do You Generate Blog Ideas? How Do You Encourage Blog Sharing? How Do You Build Your Blog Audience? STEP ONE: Who Is Your Blog For? Whether you’ve already started your blog and business or not, this is a critical consideration. Determining who your blog is for will not only help you be more effective in your writing, but also ensure that none of your blog posts are wasted on a disinterested audience. That starts with having a specific, narrow topic which you plan to write about. It may seem counter-intuitive to be so highly focused, but the broader your topic, the more diluted your content will be. Which means that it will be harder to become “known” as an authority. As part of my blogging community training, we spend a lot of time educating new bloggers on the importance of market research. We’ll use tools like SEMrush and Buzzsumo to research their niche ideas and determine if they’re viable. All before writing a single post or even building a website. That’s how important this step is. The Topic Explorer can help narrow down a broad subject area by suggesting related topics to write about. The Content Analyzer can be used to compare topics. Look for the number of articles you will be competing against, as well as the number of social shares for each topic. Once you’ve decided on your core topic, it’s time to think about your audience. What are they like? What are their interests? Most importantly, what are their issues and pain points? The more accurately you’re able to describe them, the better prepared you will be to write to them. This process often involves the creation of “personas” so that you can attribute whatever descriptors make sense, whether that’s demographic, geographic, or just the psychological points I mentioned. After you’ve begun creating content around your core topic, written for your targeted audience, it’s important to measure the success of that content. So make sure you’ve set up Google Analytics and are regularly reviewing your content’s performance. Which posts and topics are performing best? Does the demographic data within Google Analytics for your actual audience match what you were hoping to attract in your target audience? You can use social media platform insights to measure your social posts, as well as the makeup of the audience you’re building there. 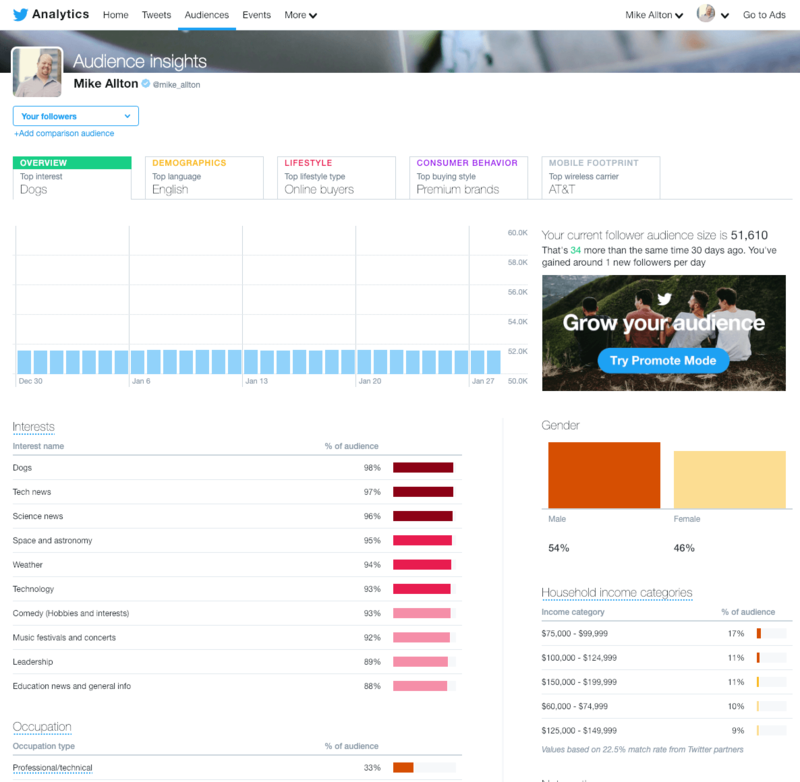 Twitter Analytics offer a lot of information, and you can benchmark your audience against the rest of Twitter. STEP TWO: What Is Your Blogging Voice? Now that you know who you’re writing for, it’s time to think about how you write. Think about how you talk, for a moment. What language do you speak? Do you have an accent? Are you funny or serious? Short or long-winded? Do you prefer to quote classical authors or contemporary movies? Combine all of those elements and more, and the result is most accurately described as your personality. Your blog should have a personality as well. Whether that completely mirrors your own or is more refined to represent your brand, is entirely up to you. If you’re not sure what you want your voice to be, start by reading other blogs in your niche, or even outside your niche, and take note of those that have a style you enjoy. And consider whether your audience would enjoy them as well (this is why looking at popular blogs in your niche is helpful – you already know your target audience appreciates something about them). 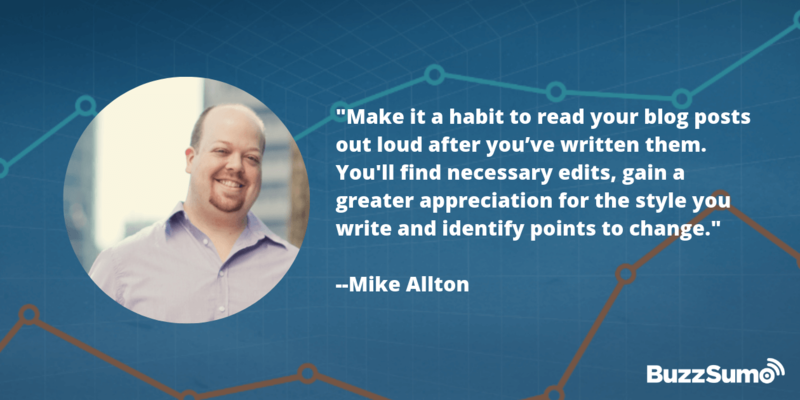 Make it a habit to read your blog posts out loud after you’ve written them. Not only will you find necessary edits, but you’ll also gain a greater appreciation for the style you write and identify points to change. STEP THREE: How Do You Start A Blog? If you already have a blog in place for your business, you can skip this step. But if not, there are a few technical points that we need to address if we’re going to be assured success. First, it’s critical that you own your own blog, which means paying each year for a domain name and hosting. That also means that using Facebook or a free blog platform like blogger.com is not acceptable. Those free platforms are fine if you’re blogging for fun, but a professional blog requires a professional environment. Not only will it be more powerful and secure, but it also conveys the appropriate message to your audience. Then there’s the blog itself. For most instances, we recommend using WordPress as it’s incredibly easy to set up and easy to use. You can use a theme to control the look & feel and install plugins to add additional functionality. With WordPress set up on your own hosting account, you’re ready to start writing and publishing. STEP FOUR: How Do You Write Blog Posts? When it comes to writing blog posts, there are several questions that often come up. How Should I Structure A Post? Start with an introduction that explains your topic and hooks your audience, preferably with a story. Outline your most important points and introduce them using section headings. Summarize your blog post and provide your readers with a “next step” – whether that’s to read something else, download something, or perhaps call you. The average blog post is about 750 words, and that’s a good length to aim for most of the time. However, be advised that according to research done by BuzzSumo, “long form” content performs better. Specifically, articles with 2000+ words tend to be shared socially far more often than shorter articles. And yet, there were 16x more articles written at less than 1000 words. Which means more people are writing shallow posts, leaving you plenty of opportunities to create more meaningful, in-depth content. How Often Should I Publish Blog Posts? In this analysis of HubSpot survey data, the frequency of content publishing was compared among a range of business blogs. 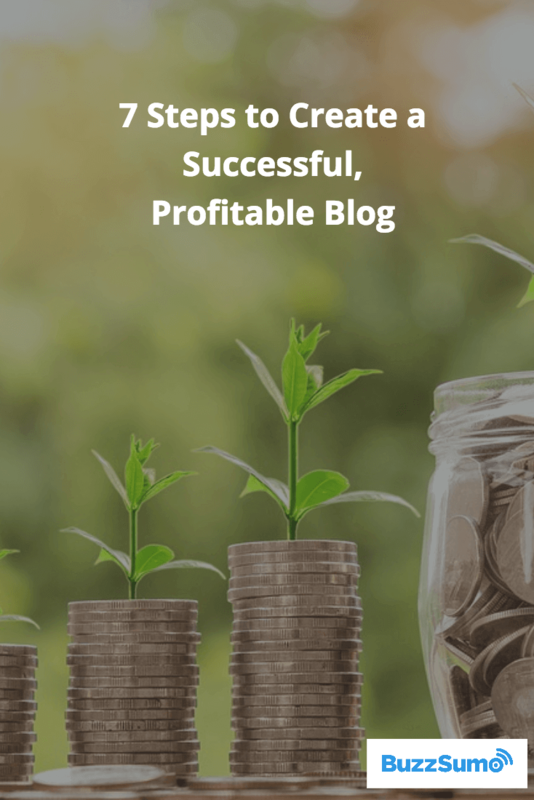 The findings suggested that, once a blog has accrued over 50 pieces of content, they begin to receive exponentially higher levels of traffic, leads, and sales. Because if you want your blog to really start to drive traffic, you should try to get to at least 50 blog posts as fast as possible (without sacrificing quality, of course). So, rather than answer the question of “how often should I blog?” arbitrarily, we can use data and business goals to determine the ideal frequency. If you’re content with achieving that exponential level of traffic a year from now, then blogging once a week will suffice. If, however, you want to ramp up your content marketing within, say, 90 days, you’re going to need to create a lot of content far more rapidly. Either way, you’re going to need dozens and dozens of ideas for blog posts! STEP FIVE: How Do You Generate Blog Ideas? Brainstorming ideas and writing about topics that occur to you is OK, but if you’re targeting 50+ blog posts within a designated period of time, you’re going to need a more scientific approach. Start with using available tools to help you not only come up with ideas of what to write about but also view data on how much those topics are actually in demand. There’s no point in writing about topics no one is interested in. You can also write about trending topics. While you will not be able to plan these types of articles in advance, you can determine that you’re going to be open to possibilities and plan accordingly. That means following industry news sources and journals and making sure that you have a flexible schedule to grant time for writing about such topics. The most important type of content for your business blog will be posts that are specifically related to your sales funnel(s). 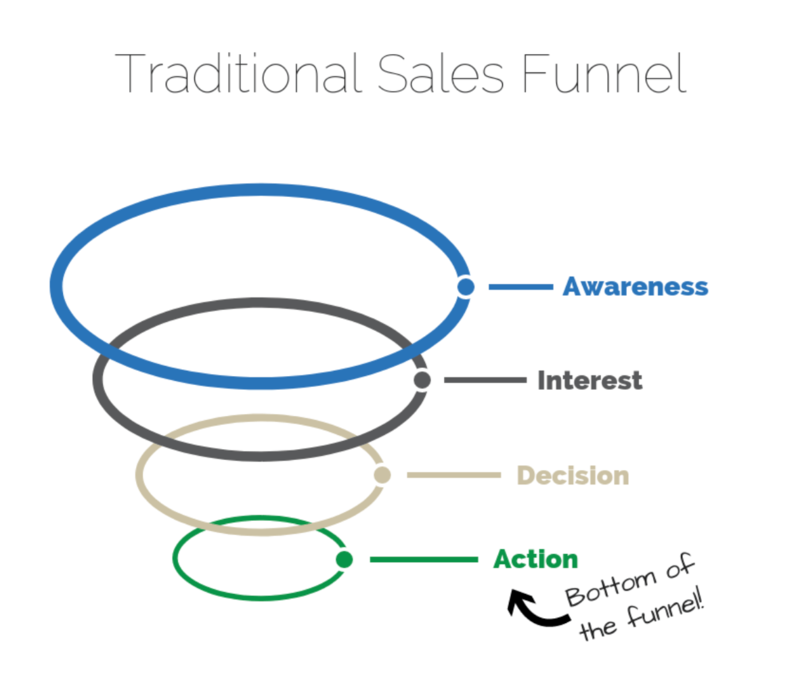 You see, every buyer for every business must go through a standard sales funnel. As they move through the Awareness and Interest phases, down into the Decision and Action phases, you can and should have relevant pieces of content available to help them. The most important of which is the Bottom of the Funnel – that’s where potential customers decide to buy from you! Through a combination of popular topics, trending topics, and content designed to educate your prospects, you can easily fill a content calendar for months. With Google Analytics in place, you can then track your sales and funnel results. STEP SIX: How Do You Encourage Blog Sharing? After you publish a piece of content, of course, you’re going to share it to all of your social profiles. But how do you get other people to share your content? Social Warfare is a great example. When you have social buttons for the networks your audience prefers and can show them that other people are sharing your content, they’ll be more likely to share your posts as well. Tall images perform the best on Pinterest as they stand out in the feed, while multiple images will give you (and your readers) different images to pin to different boards. STEP SEVEN: How Do You Build Your Blog Audience? Up until now we’ve talked about planning and structuring your blog so that it will attract readers, and even touched on some social media points. But the most critical audience-building activity for your blog is to work on growing your email list. Your email subscribers are readers that you’ll be able to communicate with over and over, whether that’s for new content or sales or other important information. Start with a newsletter subscription option. The email marketing solution you choose should have forms that you can embed into your sidebar or footer so that visitors can subscribe from anywhere on your site. Next, start to develop “content upgrades.” These are digital downloads that complement and supplement your published content. An example might be a PDF version of this article. You can also offer workbooks, swipe files, and other similar resources. Such offers require a different signup form so that you can email subscribers the promised content. Finally, every once in a while, you’ll want to create pieces of content that are only available via email. A great example would be an eBook that you write and then simply introduce via blog post. Readers have to have the full eBook emailed to them if they want to read it. Again, a dedicated subscription form will do the trick! With Wishpond, I’m able to create popups and landing pages and funnel all of those subscribers into appropriate lists and autoresponders. As we said at the outset if you work on creating valuable blog content, one of the side effects is that you’ll be able to use that blog content to power your Twitter presence. Not only can you tweet links to your latest posts, but you can also quote and reference your blog posts over and over again. The more posts you have in your archive, the more often you can tweet about them! Now, are you ready for your free gift? I recently wrote How To Start A Blog: The Ultimate Guide – I called it the ultimate guide because it’s a nearly 100 page eBook packed with detailed explanations and examples of everything we’ve covered here today, and more. You can read the full blogging guide here, as well as download a free copy of the eBook. (See what I did there? That’s a content upgrade! ).